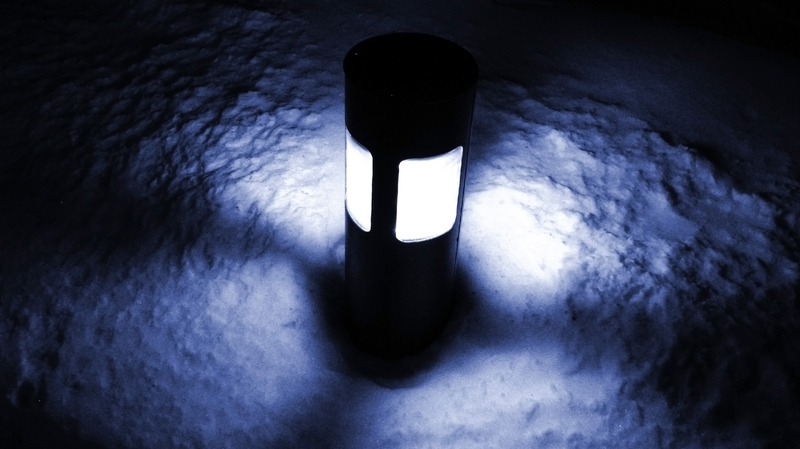 A small cylindrical garden light is not surrounded by green grass but by white snow flakes. The attraction of the picture is in the reflection of light in four patches. The white snow formed a perfect background in making the patches look distinct. The picture is qlikd in Program mode. Photoshop Match Color option is used to increase the luminosity of the picture. In the Hue/Saturation window Colorize option is checked which gave the blue color to the picture. The contrast is increased using Curves preset and finally the noise of the picture is reduced using Reduce Noise option.